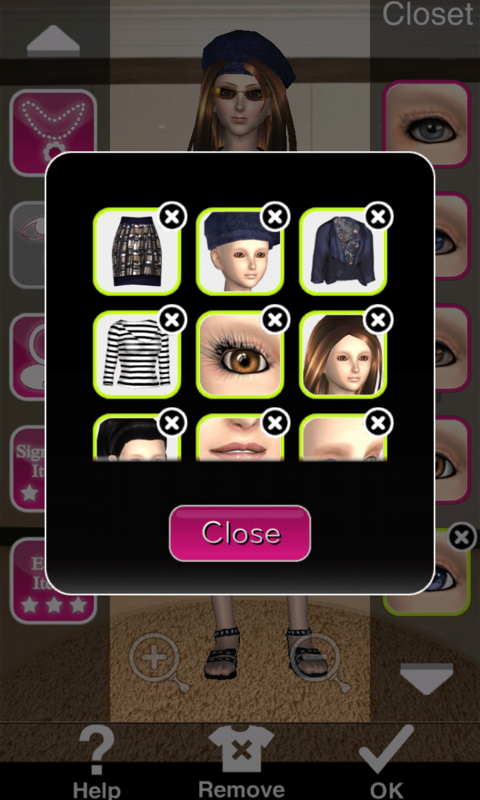 How to Pass Style Me Girl Level 24, "Nautical," & Get 3 Stars Without ANY cash! | I Style Me Girl! 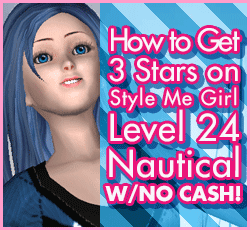 How to Pass Style Me Girl Level 24, "Nautical," & Get 3 Stars Without ANY cash! I've been systematically replaying the levels of Style Me Girl, testing how my examples are holding up. Level 24, "Nautical," is one of the most challenging in the game, so I am happy to bring an updated example of how to pass & get three stars on the level without using any cash items. Read on for the details! 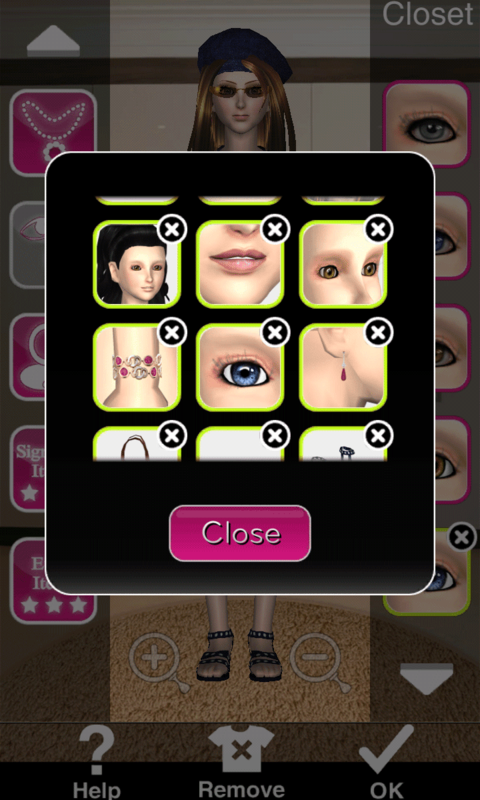 I ended up using several items on Level 24's model, Annie, to get my three stars. In order to show all over them in a screen capture, I had to take three, which are shown below. You can click the screen captures to view a larger version if you'd like. 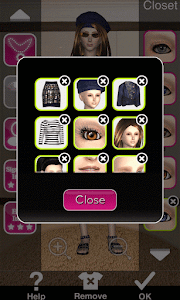 Following the closet screen captures, each item is listed with an image and their coin cost (if any). And by coin cost, I mean only the silver coin, the kind you can earn in the game and in Style Catch, absolutely no cash items were used in this example! I hope this helps anyone struggling on the level. My "Stunning," three score earning can be seen in the screen capture shown left. .
Did this look exactly the same and got 2 stars. It told me I needed a racist. It needs Annie's own blue hairs to pass the game at 3 stars.